We have just been told the team's flights has been delayed by two hours so will arrive at just after 2pm today. Their flight number is EK0015 from Dubai in case you would like to track their arrival time. From the very beginning I have been dreading this day but there is nothing that could prepare me for this. Today is our final blog post written by the team and I am grateful to be able to write it. Today's blog is not going to be an over view of the days events but how the past month has made us feel. I would first like to say a huge thank you to all who supported us with the project, especially our families for their endless loving support and to everyone for reading these posts (I know you've all secretly enjoyed the hashtags). The past month is truly indescribable, the facts can be said but nothing can be written down that would really express how the team feels and have felt this past month. We have achieved more than we ever dreamt of and for that we should go back home proud of ourselves. Three beehive fences; four school paintings; a permaculture garden; countless jars of honey processed; data collected and organised and the lasting memory of the Exeter team in all the hearts of those we had the pleasure of working with. We go home sunburnt, tired but extremely proud. However despite all we've achieved that will leave lasting impressions we will gain so much more in memories. From ninja to bananagrams, to fighting for spoons; yoga in the meeting room; intense frisbee matches; singing with Paul in church; the dodge toilets; the messy bread baking; the joy in all the childrens faces as we taught them to play frisbee; to the feel of success when we reached the top of Sagalla Hill and to seeing our first elephant. To everyone else these memories seem small but to us they are the memories we will cherish forever. I want to thank each of the team you have all been truly amazing and have gained a special place in my heart. 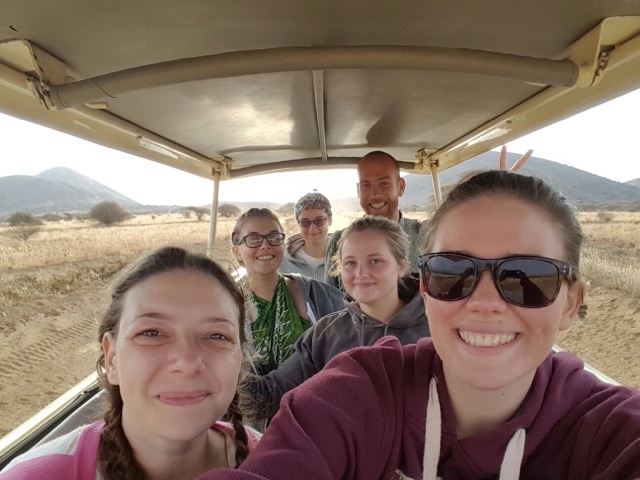 I would love to write about about each person we have met on this journey but as this blog is already rather long, I will just make a few special mentions. 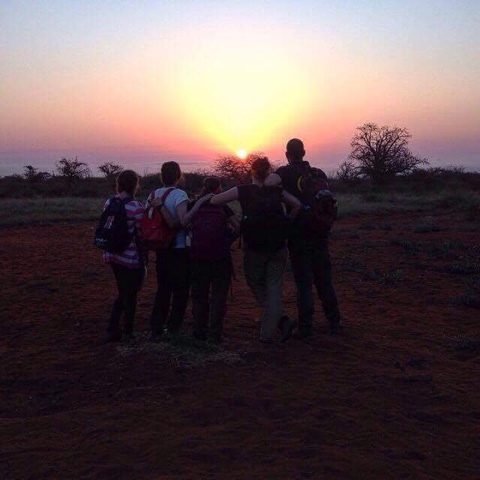 To Morgan, Esther, Edwin, Nathan and Cara, thank you for welcoming us into the camp, for putting up with our shocking cooking skills, our loudness and for becoming our friends. I highly doubt this will be the last we see of you all. To Lucy for having us for the month, you are a true inspiration to us all and we could not feel more lucky for getting to work with you. Despite only being in camp with you for 10 days, it was a truly sad goodbye. To Emmanuel, who became almost like a second father, your support, encouragement and your speech on the last night will never be forgotten. The camp is lucky to have you, as are we, for getting to meet such a passionate man. 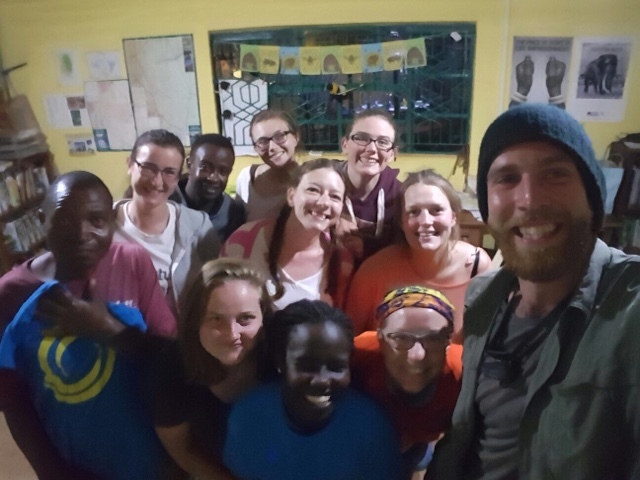 To Harriet (our sixth member who unfortunately couldn't make it out to Kenya with us) well done for all the fundraising and commitment you have put into the project this past year. I wish you all the best of luck. Chris, you have made the last month simply hilarious. You started off as our leader but as the month has progressed you are now a friend. This month would not have been nearly as humouress without you. Despite being oblivious to all that happened when we were in Voi, you trying to get me to pay you twice and for not using my picture on the blog, you made up for that with all your top bants. We are going to miss you so much especially your facial expressions, your amazing singing, your gorgeous locks and your infectious laugh. P.S. for the sake of all the Kenyans please buy some new shorts. Lastly, there is one special member of the team I would like to take the time to thank. Not because she is my favourite but because tomorrow is potentially the last time I will see her in a very long time. We have shared some cracking memories with you Vic this past month and I know I speak for all of us when I say that you will be greatly missed. Before the trip I knew it was going to be hard saying goodbye but I did not realise how much so. Despite using up all the medical kit, being too loud for comfort, wrestling me to the floor and being frankly annoying as hell, you have become like a sister to me. Sharing a tent with you and Lauren has given me some of my favourite memories, dmc's will never be the same without you and when we were watching the shooting stars together on our last night it made me realise how lucky I was to have met you. It's true what people say about how travelling changes you, although I never thought it would be in this way. I have not only changed colour but also my perception of culture and friends has changed. We have gained valuable field experience and life experience in general. I now with a heavy heart want to end by saying what an amazing month I have had. I have gained friends for life and memories I will hold forever. I will greatly miss Kenya and all those I have met along the way. Although I am sure we will all see each other again, over the next day the hugs goodbye will be some of the hardest I have ever had to do. This is it- our last full day in Kenya. It was an early start but watching the sun rise whilst on safari is worth it. This morning we had another great round of wildlife spots- zebra, giraffe, elephants, wildebeest, buffalo and more. 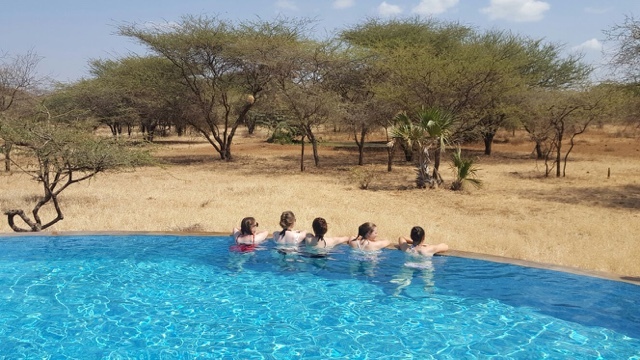 This afternoon has been more arduous... we've spent the past 4 and a half hours swimming in the pool, occassionally sun bathing but constantly admiring our view of the african bush. 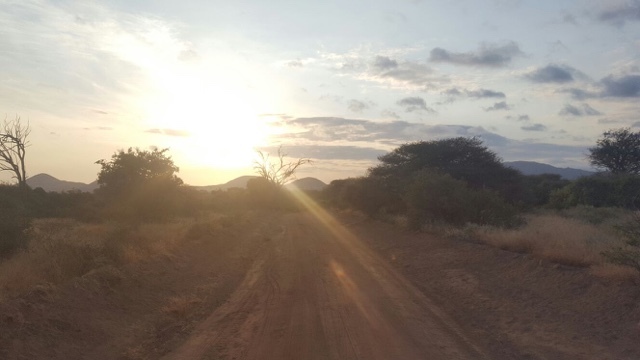 It's hard to believe that we will be travelling home tomorrow- fingers crossed that our evening safari provides a sighting of the elusive lion... if not, we blame Inspire Leader, Chris. After some sad goodbyes at the elephants and bees camp this morning we set off for Tsavo West national park. 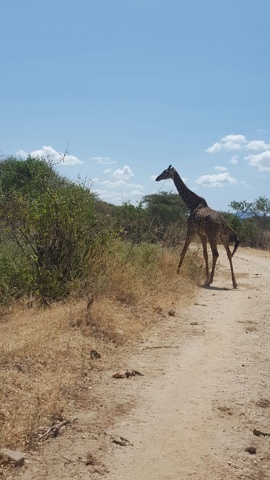 We've been lucky on our safari so far and seen so many animals including elephants, zebras, hippos, crocodiles, vultures, an owl and lots of dik diks. 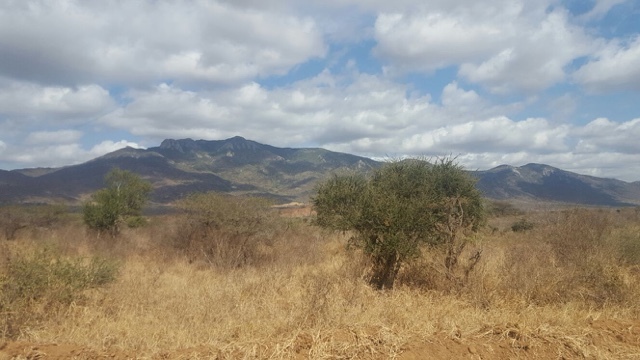 We could even see Mount Kilmanjaro in the distance as we are right near the border with Tanzania. The lions are proving to be elusive but hopefully we'll have better luck tomorrow! Today was our last day at the Elephants and Bees research camp so it was pretty emotional. We made some candles and body butter out of the beeswax this morning which has already been packed away by us. Our final shopping trip also consisted of buying all our food for safari on the next few days. Our last meal of lasagne was long awaited as we waited for everyone to get back from night work so we could eat our last meal as a group. Goodbye Elephants and Bees and thanks for everything you've given the Exeter team! 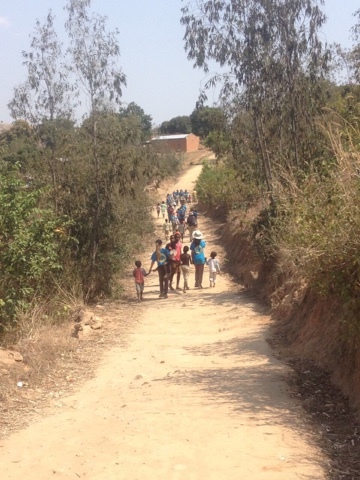 This morning we went to Wabongo's farm to finish extending his fence. Once we had put up the dummy hives and roofs we spoke to Wabongo for a while and told him that we had bought some of his honey. Laura and Tanya were attempting to make wax with 2 of the locals. Unfortunately despite several hours of perseverance their efforts were in vain. Emma updated the map of Wabongo's farm for the elephant monitoring sheets, which record the number of elephants entering a farm, their route and the amount of damage that they do. Lauren helped with updating the beehive records and data processing. Victoria made a path for the permaculture garden and went through camera trap footage. Night work was very quick this evening and Lauren and Chris helped to move two hives to more suitable areas. We're all quite sad that our time at camp is coming to an end, and we're determined to make our last day count! Hi folks! My name is Morgan and this evening I have been graced with the honor of guest writing for this epic blog series. 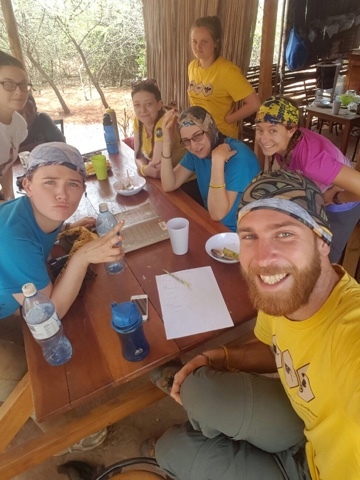 I am an intern at elephants and bees, from Chicago, and arrived at the research camp about a week prior to the Exeter team. I had just gotten myself settled and my work organized when this crazzzzy bunch loudly rolled in. I have to admit, I was a bit overwhelmed! I didn't know what to think of this tight-knit group using foreign words such as banter and knackered, constantly discussing the brexit crisis, second only to the red squirrel catastrophy of course, and demanding answers regarding America's impending doom with Trump's gaining popularity. Over the last month, however, I have come to know these incredible women, and their dashingly handsome leader Chris, and their stories. First, I am amazed by all the hard work and effort they made into getting themselves here, I know you already are, but you all should continue to be so proud of them!! The last weeks have been a whirlwind of trying, and succeeding! !, in finishing a million and two projects at once. These ranged from truly destroying the kitchen making every bread product we could think of with Laura, constructing the most phenomenal fence Kileva Elementary School Permaculture Garden has ever known with Victoria, drawing epic energy cows ( in order to teach fantastic students about tophic levels) with Lauren,conquering a hill I would definitely deam a mountain with Emma, evolving gopher like hole digging abilities with Chris, all while constantly laughing to Tanya's quiet, but absolutely phenomenal, witty comentary. Although we have been nothing but ridiculously busy, we have managed to have conversations ranging the scale of silly to very serious, and in the process I have come to cherish each one of them. I will be at the research station until the end of August, and I cannot tell you how much they will be missed. Besides having to light the truly terrifying monster stove all by myself!! !, I will miss their energy, laughs, and love. As our paths will sadly part on Wednesday, I am consoled in the fact that life-long friendships have been made. Thank you all reading this for the support you have given, and continue to give, this team. They truly are an incredible group. Day 14: Second fence- done! Day 9 and 10: Two blogs in one!